Girls’ Day Out #2- Frutilandia and more! In June I went exploring Liberty Station with one of my most favorite friends- two moms on the loose having a lot of fun! Six months is way too long to wait. Time for another “field trip,” this time with Dee Dee and Suzanne, friends from our church’s Bunco Club. Incidentally, Bunco Club needs to be renamed to “Let’s Have a Blast Chatting about All Our Favorite Things, Then Finally Get Around to Throwing Those Dice” Club (at least on the day it was held at my house, oops). Well, we chit-chatted about so many different favorite products, foods, restaurants and other places that we promised to go on a field trip to a few of these spots the very next week. Which brings us to today: Fruitilandia, Pancho Villa’s Farmer’s Market, and Penzey’s Spices. Two of our stops I was very familiar with, but Fruitilandia was my new venture for today. This place was really neato-burrito. According to Dee Dee, Fruitilandia was once a dumpy-looking small shop across the street from it’s current location at 4328 University Avenue in San Diego. Now it is located in a bright spot, still offering smoothies and all kinds of fabulous Mexican drink specialties. We asked about the different snack options and were all in for sharing a Tostilocos, and tried the Strawberries and Cream (unfreakingbelievably delish), Pico de Gallo Fruit Salad, Fruit Salad with cottage cheese, raisins and honey, and a Licuado. Holy cow, where has a Licuado been all my life? It is kind of like a Mexican milkshake, only lighter, like a smoothie. And tastier. And more refreshing. Choose which of many fruits you want blended into your drink with the milk- I chose pineapple and mango. Wow. Delish. The three of us split a snack that we decided was like a Walking Taco… on steroids. We barely made a dent in the Tostilocos- served in one opened small bag of Tostitos was cucumbers, jicama, fried peanuts, tamarind bits, spicy sauce and chicharron strips. I’m pretty sure there were 42 other things in there, we just couldn’t get down to the bottom of the bag. Three forks-full of chicharron… not fried. Imagine how sad I was to find that the chicharrones were not fried… boo hoo hoo! I definitely prefer my chicharrones fried. Pork skin cooked this way is like calamari, only a little more firm. Not bad, but not to my taste. Fruit Salad Pico de Gallo- something I never had, but always meant to- chunks of fruit with chile. Definitely tasty, now all my So Cal and Mexican friends and family can get off my case. I think I liked the papaya and watermelon best. Fruitilandia could take over the country’s smoothie market. I hope it does. And I NEED to get out with the women more often! Out and about, trouble times three, ha. Posted on November 23, 2015 Categories Food and Drink, Tourism AdventuresTags food, Friends, Fruit Salad Pico de Gallo, Frutilandia, Mexican Food, Pancho Villa's Farmers Market, Penzey's Spices, restaurants, smoothies, Tostilocos!Leave a comment on Girls’ Day Out #2- Frutilandia and more! One of the first beer discoveries that I made (“Hey, I actually like this!) was Ballast Point’s Sextant Oatmeal Stout on nitro, even, so it was extra-creamy good… mmmm. Beer Stop #2 is their new restaurant and meeting place in Miramar. I like how the menu organizes the drinks for the less beer-savvy people like me. New to me is the Commodore American Stout- a good, strong drink like a punch in the tastebuds strong. It hits your nose with a huge toasted malty aroma that delivers straight into the flavor. Roasty, coffee-like flavor. He likes my beer… uh oh. We both loved it. I wish I liked The Husband’s choice of some super-hoppy brew… citrusy, floral beers smell great but I never like the taste. Boo. 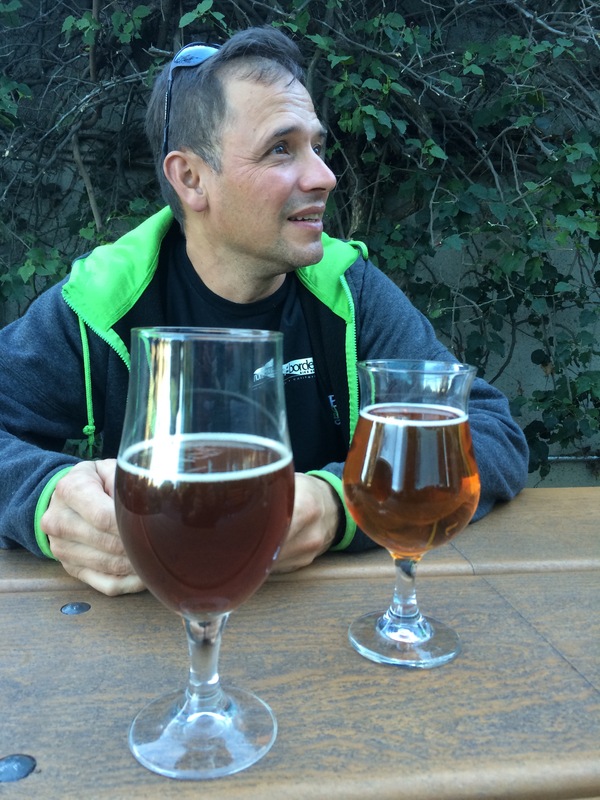 I liked my beer… a lot. But then the two appetizers we ordered to split arrived and really stole the show. Holy cow, whoever made this menu deserves a raise and a half- the menu just changed this weekend and these items should stick around for the next six months. Do NOT miss the mac and cheese with pork belly! The crispy, fatty pork strip may be only a couple of bites worth of meat but what it lacks in quantity it more than makes up in quality. We also split the duck nachos. More deliciousness! The pickled onions were just the right little tang to go with the bleu cheese sauce and duck. 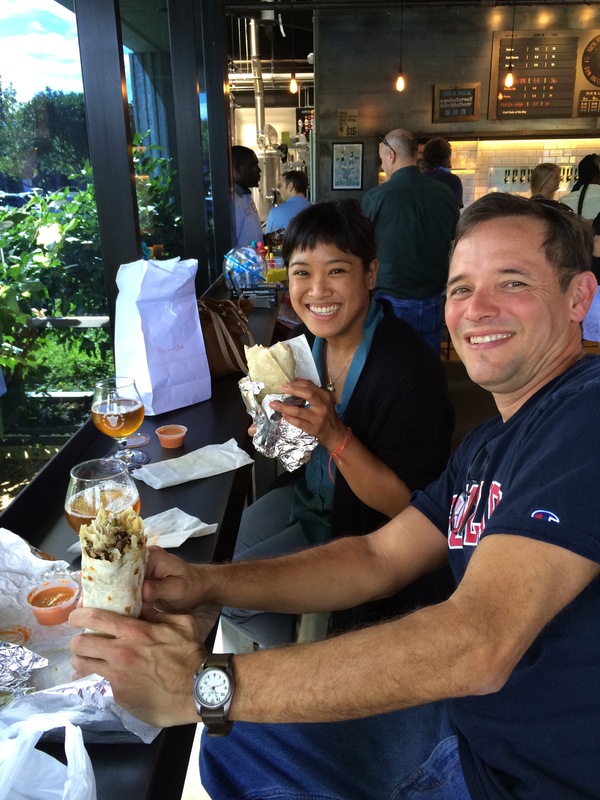 Great brews, delicious snacks, spacious seating and outdoor area for games and fire pit fun. Thank you Ballast Point people, for getting this sit-down spot to join up with the rest of San Diego’s beer and food fans! Bloody Mary and Mai Tai mixes are available! Beautiful copper stills for the newer line of spirits. Might I resume typing, cat? San Diego Beer Week (1 week = 10 days) #1 Green Flash Brewing Co.
And today was my lucky day! At Green Flash Brewing Company in Sorrento Valley the genius bartender suggested I try Alpine Beer Company’s McIlhenney’s Irish Red. I think it is now tied for my favorite beer- so very low in hops, so malty, so DELICIOUS! Can I say again how glad I am that I’m making myself try new things? 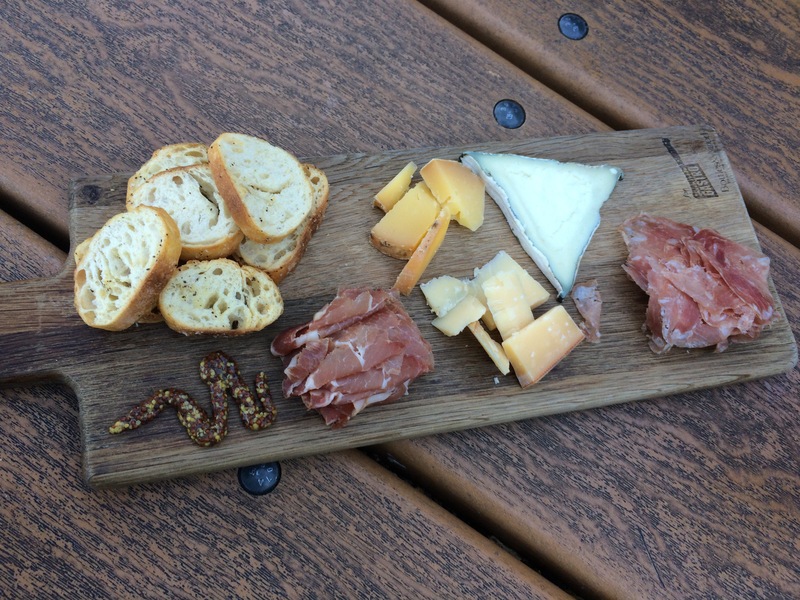 With the baguette toast, cheese, and meat appetizer, a couple of Alpine beers and great conversation, we passed a thoroughly enjoyable afternoon. 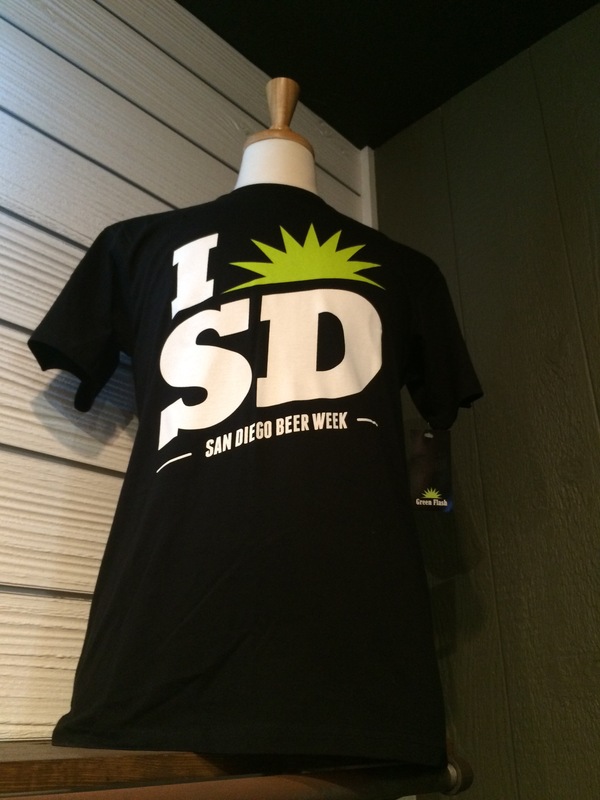 I think I will like San Diego Beer Week 2015. Posted on November 7, 2015 November 8, 2015 Categories Food and DrinkTags Alpine Beer Company, Beer, food, Green Flash Brewery, McIlhenney's Irish Red, restaurants, San Diego, San Fiego Beer Week 2015Leave a comment on San Diego Beer Week (1 week = 10 days) #1 Green Flash Brewing Co.
We in the Land of In-N-Out Burgers have the privilege of knowing a good, basic burger when we see one. 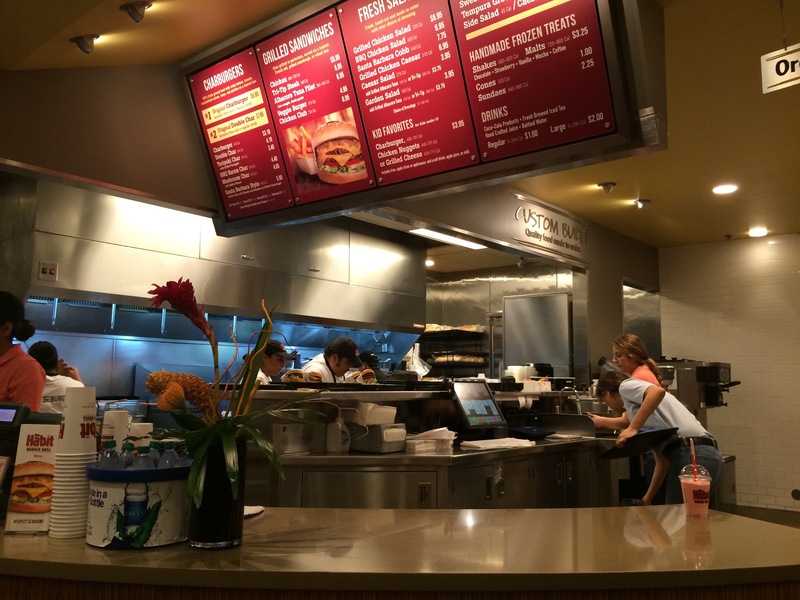 Tonight we hit a new restaurant… new to me, at least, and one of the places mentioned in the Bon Appétit article- The Habit Burger Grill. Bottom line: the fries were really good! As much as I love In-N-Out, I really love everyone else’s fries more than theirs. The onion rings were nothing special at all. But about The Habit’s Burger? Well… it was definitely good, just not great. The price was great, about $7 for burger, drink, and fries, but I think my hamburger tasted only marginally better than a Big Mac. If I want a great hamburger, I’m still going to head to In-N-Out. I have heard, however, that the salads and other sandwich variety is really nice at The Habit. So, if you want more variety, The Habit is a good spot- great prices, good selection, and really good fries. But if it is a basic cheeseburger or hamburger you are craving, stick with In-N-Out.